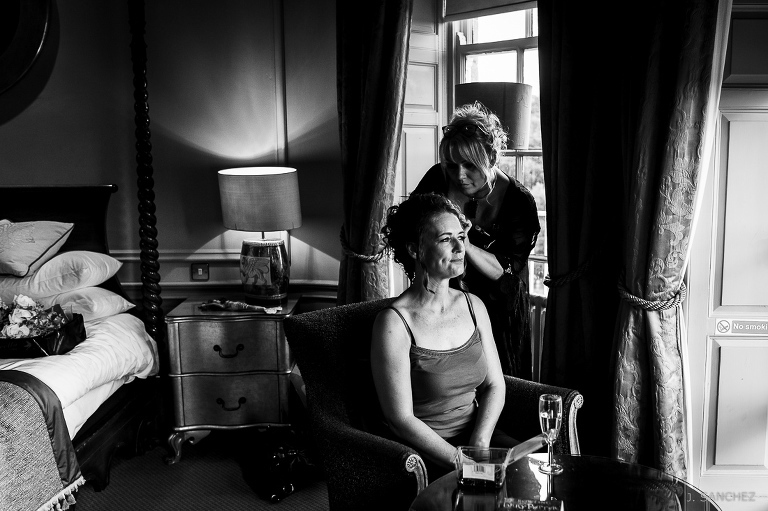 WOOD HALL HOTEL WEDDING - JO & NEIL. DOCUMENTARY STYLE. 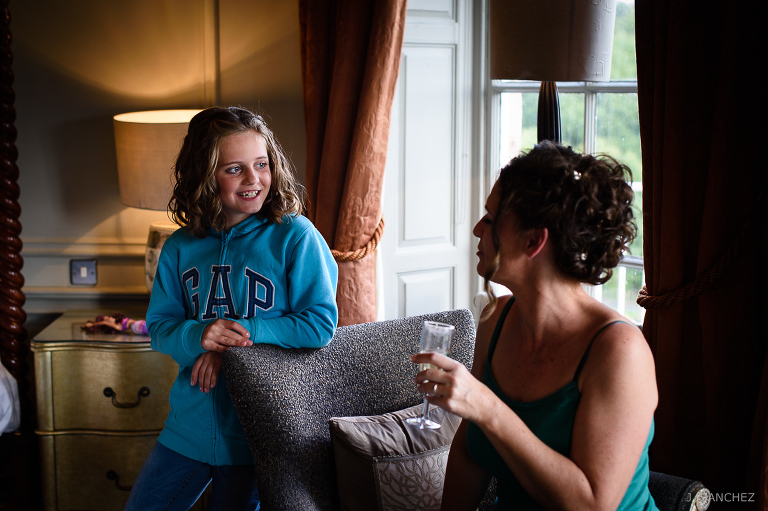 WOOD HALL HOTEL WEDDING – JO & NEIL. A WEDDING DAY AT WOOD HALL HOTEL AND SPA. 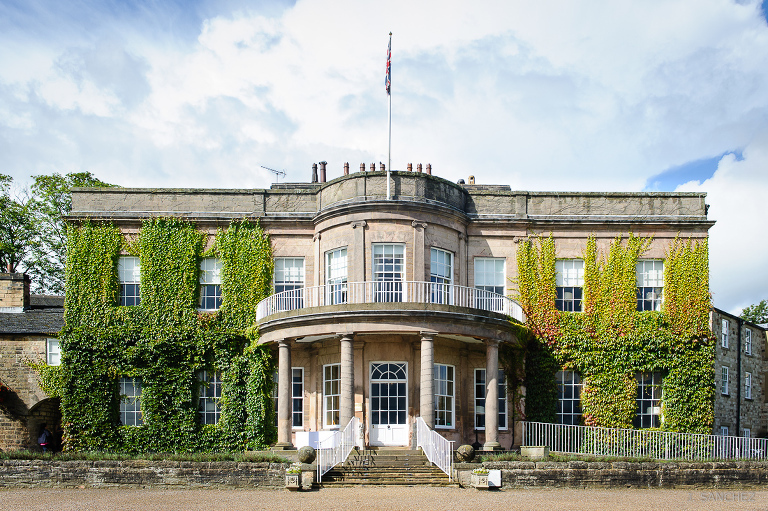 Wood Hall Hotel and Spa is a beautiful Yorkshire country house just outside Wetherby, and this was the venue chosen for Jo and Neil to hold their wedding day ceremony. 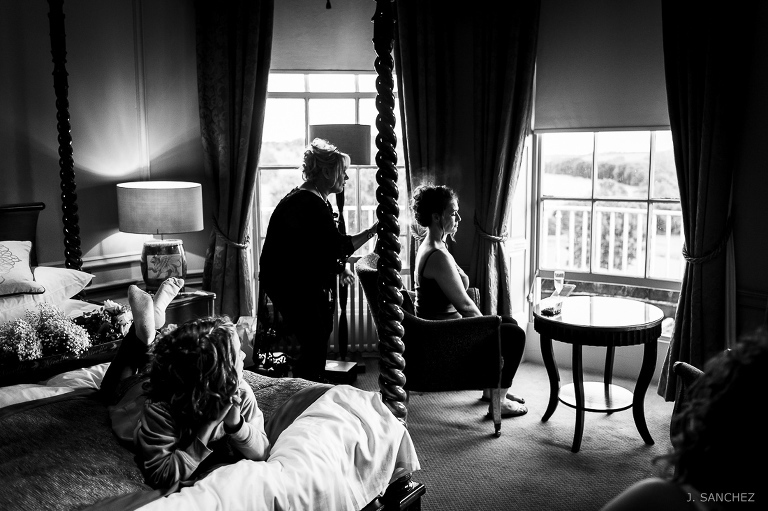 The bride was getting ready in a charming room with a beautiful view overlooking the valley. There she waited with some of her friends and her lovely young bridesmaids until her brother arrived to give her away. Once the ceremony was finished the couple and their guests enjoyed drinks and canapes in the front garden of the country house surrounded by the splendid countryside of Yorkshire. All the wedding day, from the wedding prepatarions until the final party, took place at this romantic and impressive venue. As the couple were well aware of my documentary photography style, they left me totally free to do my work while they just enjoyed this special time with their family and friends. “We received the photographs today, thank you so much, we adore them. You have done a fantastic job of capturing the day which is exactly what we wanted. If we get the chance to recommend you, we will do. If you are going to hold your wedding at Wood Hall Hotel, or wherever, and you like my documentary approch for wedding, just email me. « WAITING FOR THE BRIDE. A FAVOURITE WEDDING PHOTOGRAPH AT WETHERBY.